Sens. Ted Cruz, R-Texas, and John Thune, R-S.D., reintroduced legislation this week to send the death tax to its grave. “Death should not be a taxable event, and I am proud to join with my colleagues to ensure working men and women, including America’s farmers, ranchers, and small business owners, are able to flourish,” Cruz said in a statement. The death tax, also known as the estate tax, is a 40 percent tax on assets left behind after death of above $5.45 million. Thune pointed out how the proposed Death Tax Repeal Act of 2019 would help safeguard the legacy of American business owners, especially in the agricultural community. 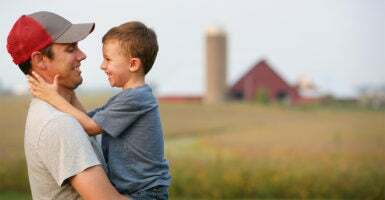 “Family-owned farms and ranches bear the brunt of this tax, which threatens families’ agricultural legacies and makes it difficult and costly to pass these businesses down to future generations,” said Thune. If repealed, economic growth would boost in the U.S. by $46 billion over 10 years and “generate an average of 18,000 private-sector jobs annually,” according to a Heritage Foundation report about the possible impacts of scrapping the death tax. Courtney Joyner is a member of the Young Leaders Program at The Heritage Foundation.